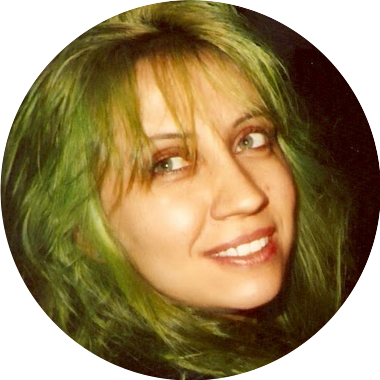 Growing Up Green : PANTERA JOINS THE TRIBE!! 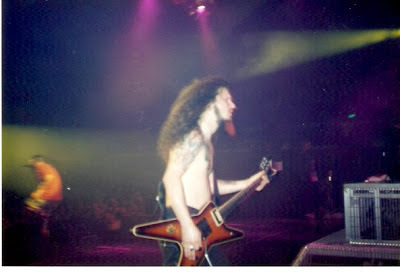 One of the coolest bands I ever toured with was Pantera. 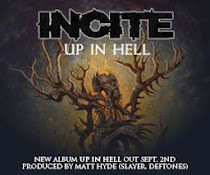 Everything about them was cool...the way they treated you, the parties, the shows...everything was BIG, like Texas!! 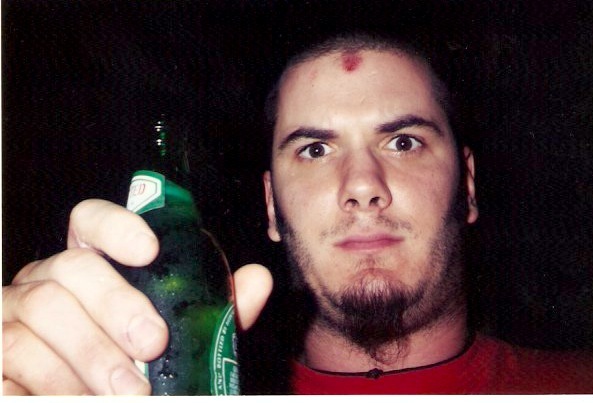 Pantera always had smiles on their faces, a drink in one hand and a party planned for later!! 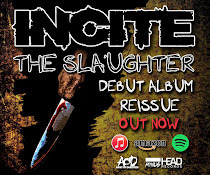 I was fortunate enough o have 3 of my acts on many Pantera tours, Sacred Reich, Sepultura, and Soulfly. 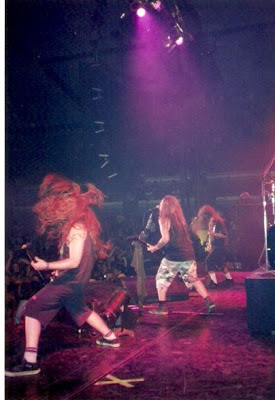 Pantera was never scared to have the Brazilians in front of them, like a few other bands, whose names I won't mention. Walter O'Brian was the manager and a good friend. He never charged bands to play. He was a stand-up guy. Music and shows were about fun, about music, and about brotherhood, a trait sorely lacking today. 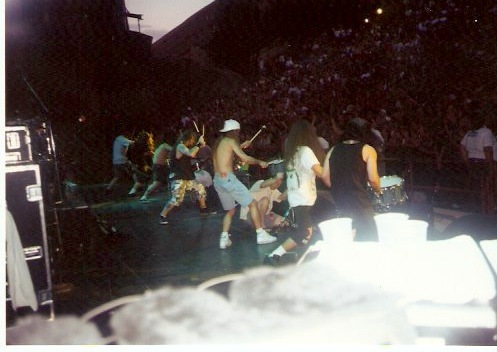 One of the most memorable Pantera shows was Pantera with Sepultura at Red Rock Ampitheater in Colorado. The entire day was fun, a big musical thrill from start to finish. The drum jam was one of the rocking-est jams in history! 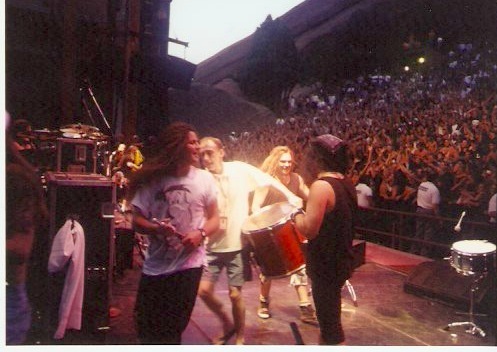 With the tall red rocks holding the stage in the palm of its hands, the crowd swooping up to the top of the rocks, the drums carried throughout the mountaintops. Dime was starting to wear camo in the age of "Max-camo pants sweeping the globe era." One day he gave Max a gift of a new camo he had picked up for him. Max still has the pants in his man cave, a reminder of a day long past. The Pantera crew was as much a part of the Pantera family as Vinnie and Dime's parents! Guy Sykes at the reigns, frightening all in his path-until you got to know the dude; Big Val in charge of security; Wires at front of house; Sunny lighting up the stage; and of course the wild stage crew...Grady, Kat, Bobby and Sterling...it wouldn't be a Pantera show without them!! 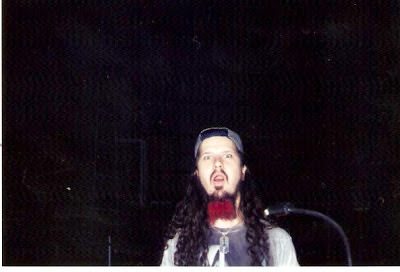 The last time I saw Dime was in El Paso, Texas at the Fox Theater. Vinnie and Dime came to the Soulfly show to hang out and got mobbed by the fans. Damageplan was starting their tour and they were excited to get the show on the road.